In his fourth attempt to surrender himself to Chinese authorities, exiled Tiananmen Square dissident Wu’er Kaixi on Monday flew to Hong Kong to seek extradition to mainland China. But Hong Kong officials denied his request, and quickly put him a plane back to Taiwan. Mr Wuer, a former student leader of the 1989 protests in Tiananmen Square who now resides in Taiwan, boarded a Cathay Pacific Airways flight from Taipei on Monday morning to Bangkok, with a stopover in Hong Kong. He made use of the stopover to turn himself into Hong Kong authorities. 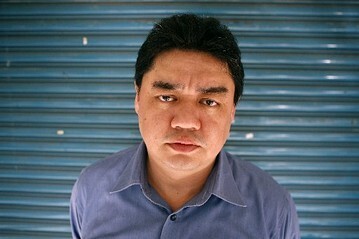 He believes he remains on a wanted fugitive in China for his role in the 1989 student protests. In the immediate aftermath of the June 4 crackdown on the protests, he was No. 2 on China’s list of most-wanted dissidents. In an online statement posted on his blog, Mr. Wu’er urged the city’s government to arrest and extradite him to the Chinese authorities during. However, Hong Kong officials chose to deport him back to Taiwan Monday afternoon, according to Kenneth Lam, a Hong Kong-based solicitor who assisted Mr. Wu’er at the Hong Kong airport. A spokesman at Hong Kong’s Immigration Department said it won’t comment on individual cases but said immigration officers may examine any visitor on arrival to the city to determine whether the person meets standard immigration requirements. Mr. Wu’er has tried several times to attempt a re-entry to China. In 2009, he flew to Macau but was detained at the airport and deported. In 2010, he tried to enter the Chinese embassy in Tokyo and in 2012, he entered the Chinese embassy in Washington D.C., but both attempts to turn himself in were unsuccessful. Mr. Wu’er said Monday the latest move was a “last resort” as Chinese authorities have refused to issue passports for his family members to visit him since he fled into exile shortly after the Tiananmen crackdown. “I miss my parents and my family, and I hope to be able to be reunited with them while they are still alive ,” Mr. Wu’er said in the statement, noting that his parents are old and in ill health. via No. 2 Most-Wanted Tiananmen Dissident Wu’er Kaixi Tries to Turn Self in, Gets Sent Home – China Real Time Report – WSJ. 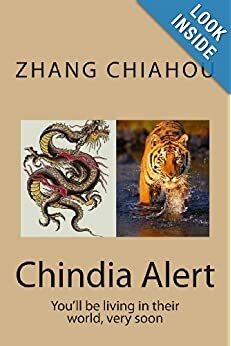 We sincerely hope that the author is right and that the Chinese authorities both agree with him and decide to implement his suggestions – soon! 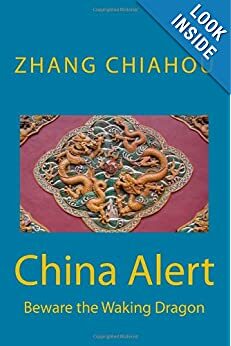 NY Times: “CHINA is experiencing its most severe economic downturn in decades, and revitalizing its economic model is critical to future prosperity — not only in China, but around the world. via How Cities Can Save China – NYTimes.com. Xinhua: “Chinese authorities closed 16 websites and detained six people responsible for “fabricating or disseminating online rumors,” the State Internet Information Office SIIO and Beijing police said Friday. The websites, including meizhou.net, xn528.com and cndy.com.cn, were closed for spreading rumors of “military vehicles entering Beijing and something wrong going on in Beijing,” which were fabricated by some lawless people recently, said a spokesman with SIIO. The rumors have caused “a very bad influence on the public” and the websites were closed in accordance with laws for failing to stop the spread of rumors, said the spokesman. via Websites closed, six detained for spreading rumors – Xinhua | English.news.cn. One wonders if there is “no smoke without a fire”?